Start your day right with this gluten free cereal, high in wholegrains and fibre and low in simple sugars. Made with naturally gluten free ingredients including 80% wholegrains and 15% protein rich legumes, it will keep you fuller for longer. Brown Rice (67%), Yellow Pea (14%),Quinoa Flour (9.5%), Brown Rice Syrup, Dextrose from Maize, Psyllium , Pear Juice Concentrate, Calcium Carbonate (1%), Emulsifier: Monoglycerides from Vegetable, Natural Vanilla Flavour, Iodised Salt, Tumeric. The Orgran Multigrain O's with Quinoa - 300g product ethics are indicated below. To learn more about these product ethics and to see related products, follow the links below. 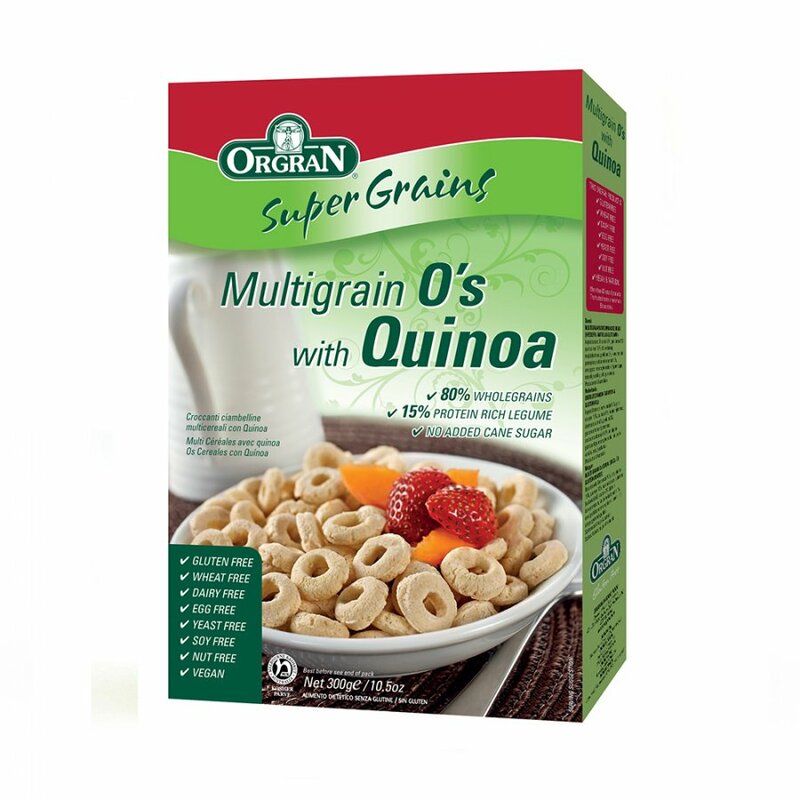 There are currently no questions to display about Orgran Multigrain O's with Quinoa - 300g.